Which character could you be? 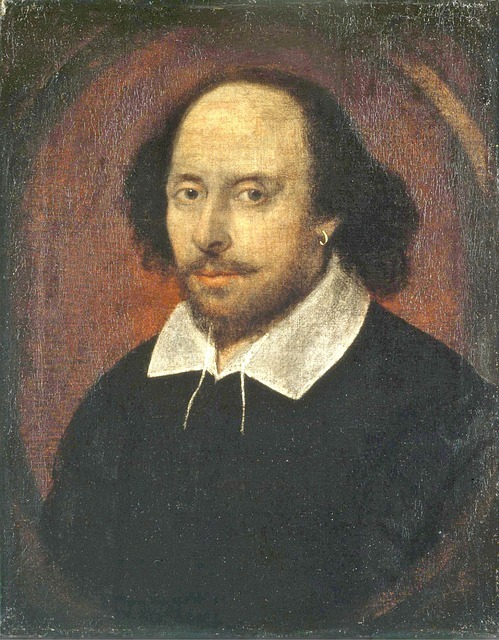 The man who knew human character better than anyone else: Shakespeare. Public domain image courtesy of Pixabay. I sometimes think of my real-life acquaintances as characters from scripts or books. I’ve known my share of people like Willy Loman (characters who believe they’re more successful than they actually are, from Arthur Miller’s Death Of A Salesman), Iago (Shakespeare’s button-pusher guy from Othello) and Pip (a young man who tries to change who he is to impress a girl, from Charles Dickens’ Great Expectations). I’m lucky enough to have some of the sweeter literary characters in my life. Two of my mentors are incredibly nice and wise people, similar to Jane Bennet’s aunt in Pride & Prejudice. I’ve also met two people — one who went to my college and one who lives in my current town — who are the Fezziwig types (Scrooge’s cheerful boss from A Christmas Carol). Both of them are happy, optimistic people who are fun to be around. We’re attracted to some characters because they’re a lot like us or the people we know — friends, family, schoolmates, churchgoers, coworkers or other acquaintances. That’s why I like many of those characters from classic literature; I sympathize with Pip trying to better himself and feel bad for Edmond Dantès (The Count of Monte Cristo by Alexandre Dumas) because Edmond is so gloriously naive at the beginning of the book, you can see it coming. I get Beatrice/Benedick and Darcy/Lizzie Bennet too (Shakespeare’s Much Ado About Nothing and Jane Austen’s Pride & Prejudice). Both couples hide their true feelings behind verbal masks (see video below) which is funny but a bit sad at the same time until they reconcile. I wish we could go back and tell some classic authors that the characters they created are still relevant today. Some of them knew it, but others didn’t. It would be fun to let the “didn’ts” know of their longevity. Blog readers, do you ever identify with a particular character or think that the people you know bear a resemblance to famous characters?